Nowadays we are witnessing an explosion of the number of internet-connected objects, which creates unprecedented opportunities for developing value-added applications that combine data and services from these objects. 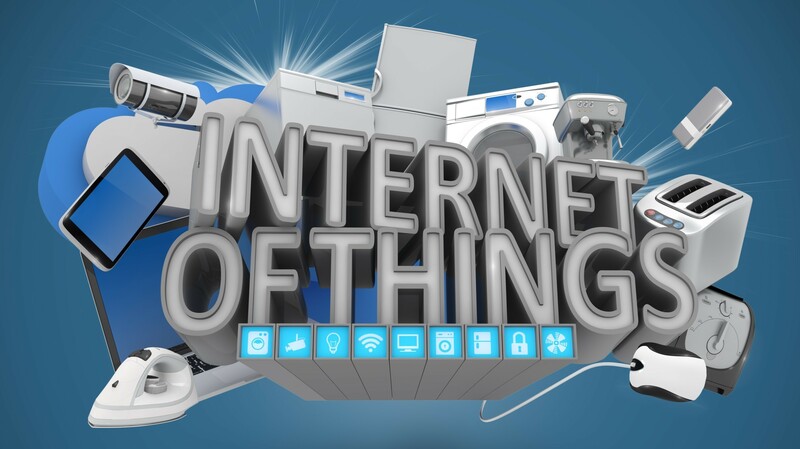 These opportunities are driving the Internet-of-Things (IoT) paradigm, which empowers disruptive innovations in several application areas including energy management, water management, healthcare, smart cities, smart homes, urban mobility and more. IoT’s business value stems from its ability to collect and process data from the physical world, as a means of facilitating, monitoring and optimization of physical processes, as well as relevant decision making. In several cases, IoT enables the convergence of Information Technology (IT) (e.g., software and computer hardware) with Operational Technology (OT) (e.g., machines, vehicles and robots) in order to improve the productivity of business operations. Productivity improvements are derived from the timely and automated collection of digital data and their subsequent use for the reconfiguration of physical processes. In following paragraphs we give five tangible examples of IoT-based productivity improvements in different application domains. Radio Frequency Identification (RFID) and other AutoID technologies (including bar codes) are among the earliest IoT implementations. RFID tags provide longer reading ranges than conventional bar codes and operate without line-of-sight. Furthermore, these tags can identify products up to the item level, as a result of the use of serialized codes as identifiers. Hence, it is possible to continually track and trace RFID-tagged products as they move in the supply chain. This enables fast traceability of items in the supply chain, along with high-throughput supply chains as multiple RFID tags can be automatically read in one read cycle, rather than having to scan the items one-by-one as in the case of conventional bar codes. In practice this results in significant improvements in the accuracy and speed of products reception, inventory and shipping processes, which has a direct positive impact on the productivity of supply chain participants. IoT enables the collection of digital data from machines and tools inside the factory. This data can be accordingly processed in order to drive the optimization of processes such as production dispatching and production scheduling. The latter processes can be then executed through Manufacturing Execution Systems (MES), including actuation operations towards the machines and tools. As IoT is a distributed computing paradigm, IoT technologies enable the virtualization of the factory automation systems, which enables a fully decentralized operation of control functions. This facilitates the addition and reconfiguration of production lines, as well as the integration of new sensors and technologies (e.g., 3D printers). Instead of relying on conventional tightly coupled MES functions for all production lines and technologies, manufacturers can leverage IoT in order to fully decentralize the automation functions. Beyond automation, IoT technologies enable access to and processing of large amounts of digital data about the status of machines and tools. The analysis of this data enables the extraction of knowledge about anticipated failures and malfunctions. Based on the prediction of the status of machines, manufacturers can proactively maintain them, which can increase the Operating Equipment Efficiency (OEE) and reduce production downtime at the same time. Increased accuracy in data collection processes: through the elimination of error prone processes. To this end appropriate devices (e.g., Proteus’ ingestible pill for ensuring adherence to medication schedules) can be used. Reduced patient risks: through their continuous monitoring, which ensures patient safety. Improved patient recruitment and retention processes: through inclusion of remote patients in the trials. This can facilitate participants’ engagement based on a reduced number of visits to the clinic, which saves effort and costs. Enhanced patient motivation and experience: since IoT devices (e.g., activity monitors, fitness trackers, ingestible smart pills and a wide range of ergonomic medical devices) provide continuous and rich insights on the patients’ health, which is an additional motivation for participating in a trial. V2V (Vehicle-to-Vehicle) interactions, which permit vehicles to exchange their location and speed information, as a means to optimizing traffic flow and enhancing safety. V2P (Vehicle-to-Pedestrian) interactions, which provides information to pedestrians about the vehicle’s position and movement, and vice versa. V2I (Vehicle-to-Infrastructure) Interactions, which support coordination between the vehicle and elements/devices of the roadway infrastructure (e.g., traffic lights). V2I empowers increased automation in these interactions, which improves safety and the efficiency of the transport infrastructure. ΙοΤ enables the collection, processing and integration of data from people, sensors, connected equipment and other devices in smart buildings. By processing data from energy meters and the HVAC (Heat Ventilation Air Conditioning) systems, IoT applications can optimize energy consumption and cost, while at the same time incentivizing users to adopt more sustainable usage patterns. IoT applications enable facility managers to receive, visualize and manage alerts associated with all aspects of building operations, while also providing them with insights and recommendations. Overall, IoT applications can lead to tangible cost-savings on the building operations, while at the same time reducing the associated environmental footprint.